ahem... dear Wings: as you embark upon the next 20 minutes of HOCKEY - you know, that sport you are paid to play for our amusement - please do not be lazy and sucky and act like you just want to shower and go out to dinner with your dads. If this is not in your wheelhouse today, so be it... but for God's sake, do not let the horrific-horks score any more. My reflexes are not what they once were, and I cannot reach the mute on the remote quickly enough to avoid barf-inducing moron song from CHI. If this doesn't get them going, nothing will! Reached the mute button just in time. I miss Bertuzzi. And Hronek. My mute button game has been on point. Chicago with the empty-netter. This one's done. I would say the Wings played well, but I'd be lying. 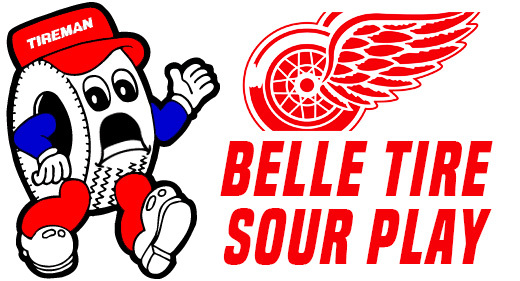 Ken Holland is seriously a dumbass. Nyquist is worth A LOT right now. What is Tire boy waiting for? The Dad Trip of Doom continues.